Thanks for dropping in. As a special gift, please accept this free relaxation track. It’s only about 5 minutes long and will help you to focus and relax. If you like what you hear, there are more available on my shopping page. Please scroll down for information on JR’s shows and reviews on them. If you are focused on positive change for 2019; maybe reducing stress, getting in better shape or making some positive health changes, be sure to check out the programs available on the shopping page (special pricing for purchases over the holiday season). 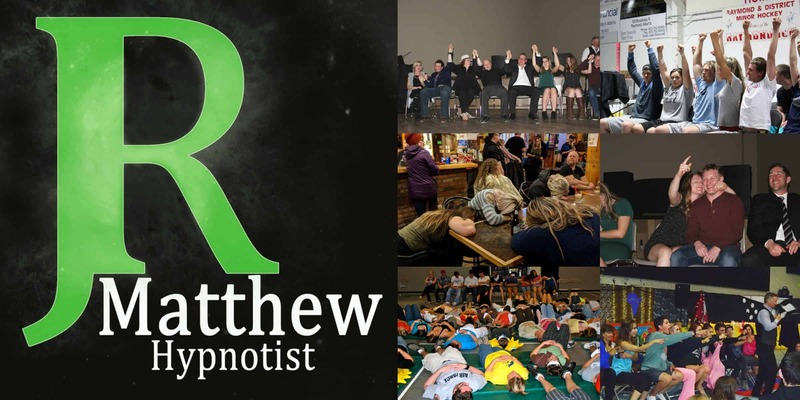 Hypnotist JR Matthew performs hypnosis shows and inspirational presentations for a variety of groups including corporate Christmas parties and schools. I think it’s really important to empower my audiences and volunteers with knowledge about what hypnosis is and is not. From there we can begin the show with a focus on having fun and looking forward to an amazing experience in which the volunteers will be completely aware of what is happening and operating off of their subconscious or “dream mind”. The suggestions I give become your new reality…and maybe a reality that is so much fun to embrace. Can you imagine how fun it would be to win a brand new truck and go in a race? How about chasing aliens and saving your friends from an invasion? How about feeling like you have unstoppable confidence or some insight into yourself which moves you in the direction of setting amazing goals and holding them in your mind everyday so you can achieve them? Sounds like this would be a great experience. Just my opinion… and it may become yours! My formula for success with my shows and presentations is to keep my show clean (PG or Disney style), my skits interactive and fun and to throw in a life “hack” to make attending and participating in the show even better.